Home / News / Participants needed: Are you a woman aged 18-44 who is not currently pregnant? Participants needed: Are you a woman aged 18-44 who is not currently pregnant? We’re looking for your feedback about a new survey! Update: We’re currently recruiting for women who have NOT completed post-secondary education. The study will take 90 minutes and you’ll receive a $25 gift card for participating. To find out more about the study, your eligibility and to book at time, contact Amanda Overholt at 1-800-265-7293 ext. 2623 or Amanda.Overholt@wdgpublichealth.ca. 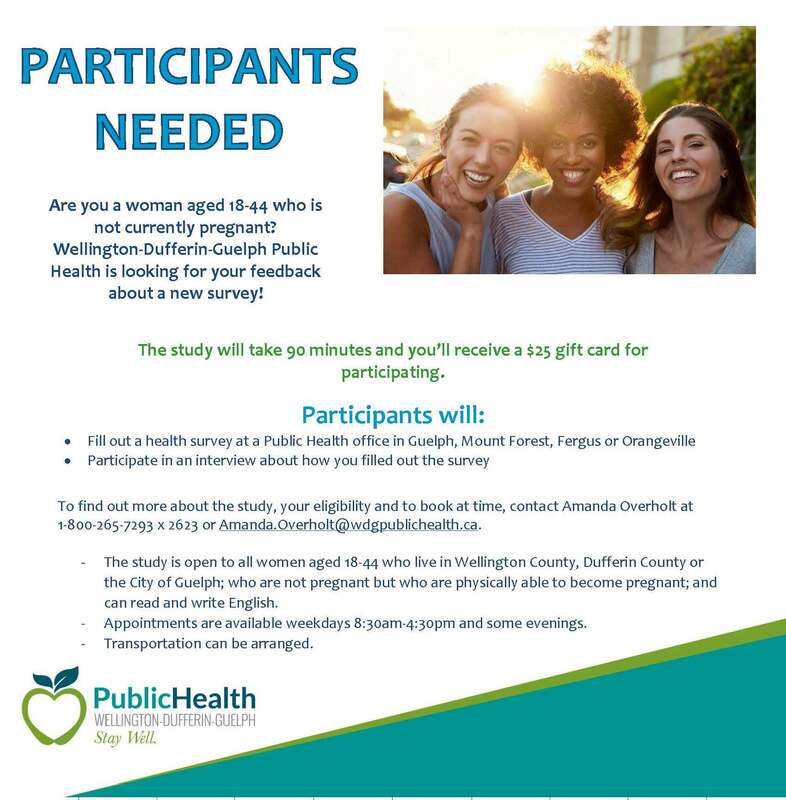 The study is open to all women aged 18-44 who live in Wellington County, Dufferin County or the City of Guelph; who are not pregnant but who are physically able to become pregnant; and can read and write English. Appointments are available weekdays 8:30 a.m.-4:30 p.m. and some evenings.